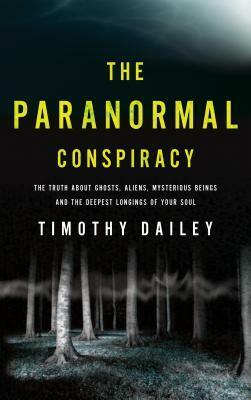 Dr. Dailey gives us a new look at the possible source of paranormal phenomena in our world. I got this book on a whim, it just sounded interesting. But when I learned more about Dailey, I started worrying, and wondering exactly what I had gotten myself into. I don’t think it’s any secret that I’m a Christian, but Dr. Dailey’s brand seems to be a little more. . . fundamental than mine. But I was pleasantly surprised. I knew of all the references he made to the different paranormal phenomena he was pointing out, so I knew he wasn’t embellishing. This book was well written, and Dr. Dailey’s agenda here wasn’t thrown in your face. It presented an argument, and while I’m not sure if it was overly convincing – although, look, it’s no crazier than a lot of the other theories out there – it wasn’t too in your face. There was a nice, balanced tone to it which I really appreciated. It was a solid book, and well researched, but boring. So boring at times. I mean, there was good collection of interesting tales in this book, but. . . there were times when it was simply so dry and I wanted to be reading something, anything, else. For the person who likes this kind of book, I would recommend it.